It was a cold, northerly summer for yours truly this year. 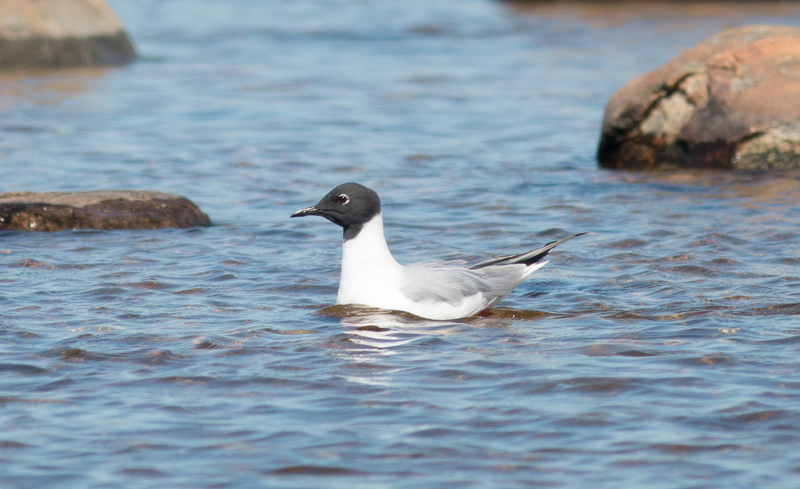 Fortunately, that summer was in one of the bird world’s great locations – Churchill, Manitoba. 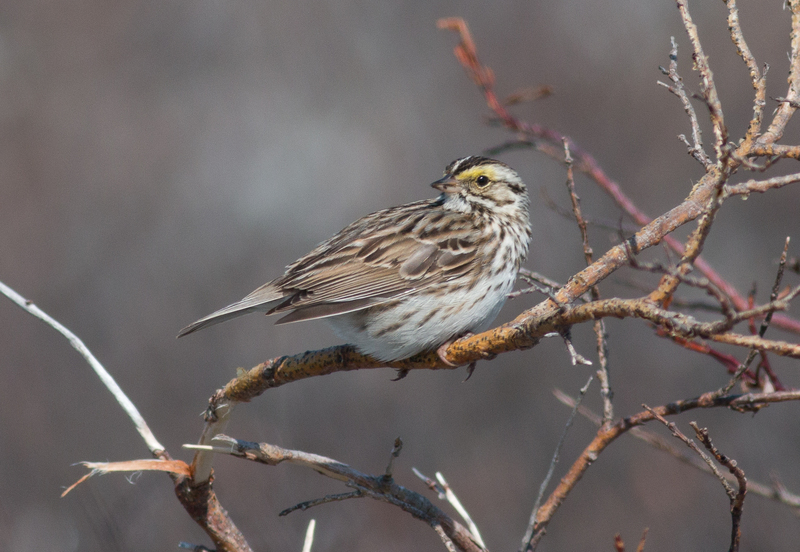 I spent two months ~25 miles outside the town of Churchill at the edge of the tundra along the coast of Hudson Bay conducting research on high latitude nesting of Savannah sparrows and Yellow warblers, while also assisting with the long-term Snow goose research. 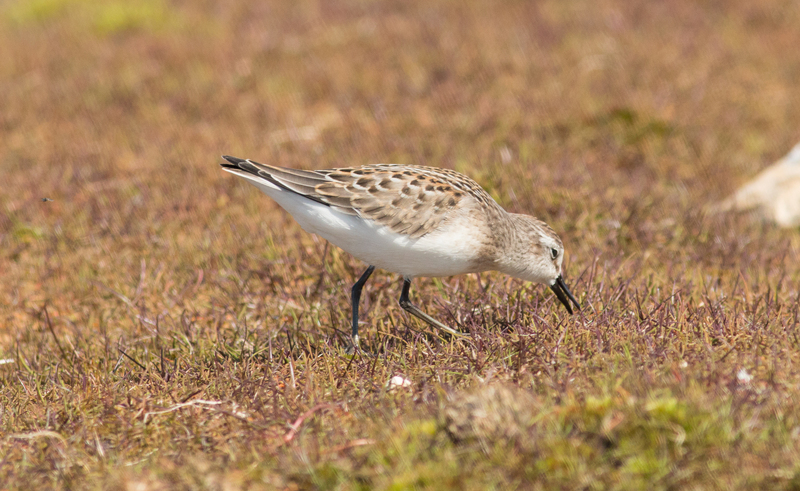 Churchill is a fantastic spot for bird work – it’s a relatively accessible and relatively southern place to study the far breeders of the north. 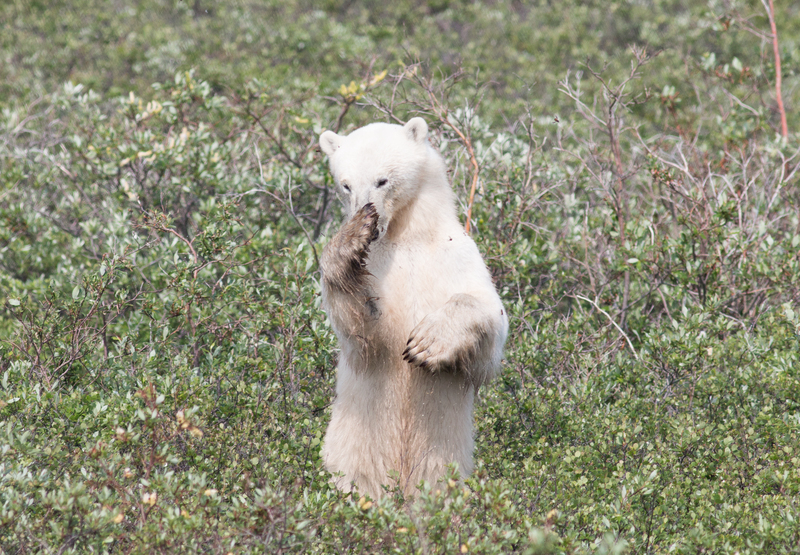 There are multiple research camps nearby, and there is also a hefty amount of Polar Bear activity, research, and tours as well. 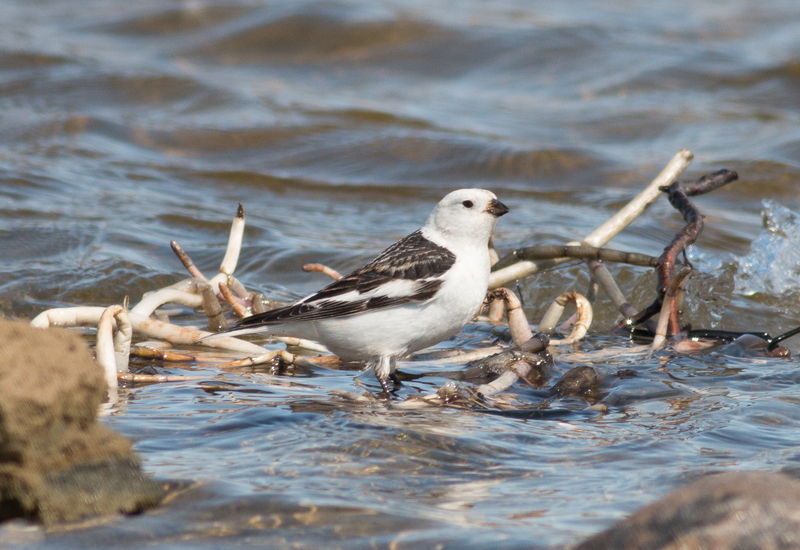 Known for years as the spot for Ross’s Gull and Smith’s Longspur (spoiler alert: struck out on both), Churchill is no stranger to bird-folk. 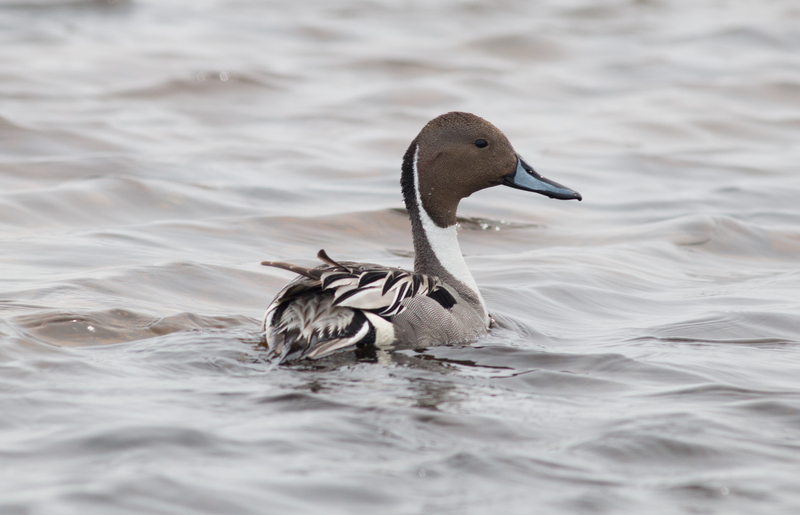 The activity has subsided a bit in recent years, and given that I was well outside of any permanent human settlement from the end of May to late July, most of the birding-goings-on of the town were a mystery to me. 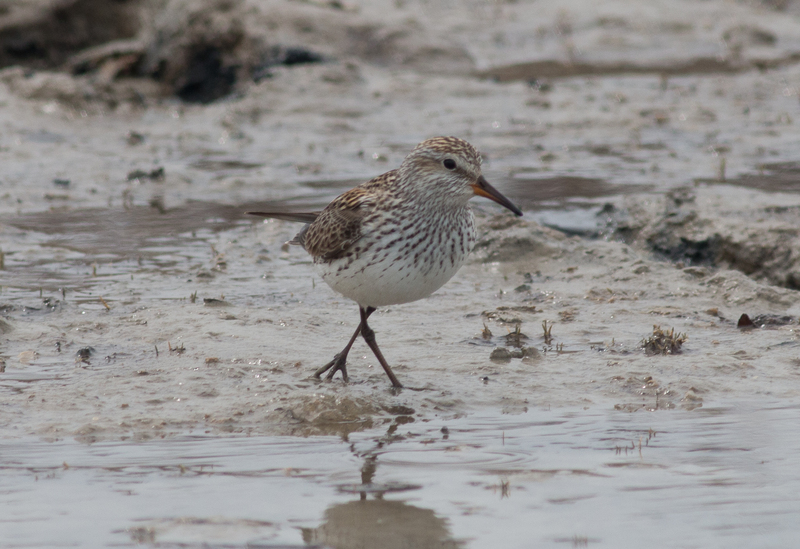 Also, as is sometimes the case with field work, the actual research and data collection takes center stage to such things as crushing a big-day species list or grabbing face-melting photos of birds. But fear not! With 19+ hours of daylight, I had plenty of time to snag a few choice shots of some of my favorite birds up in this incredible area. The real magic of this location is the intersection of so many different species. The edge of the boreal forest is nearby, so stray Blackpoll or Orange-crowned warbler is always possible. 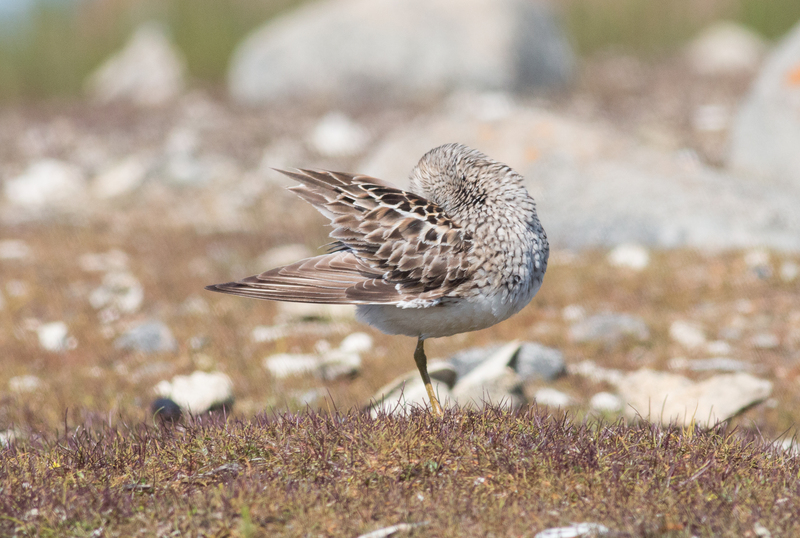 Breeding plumage shorebirds on the tundra? Check. 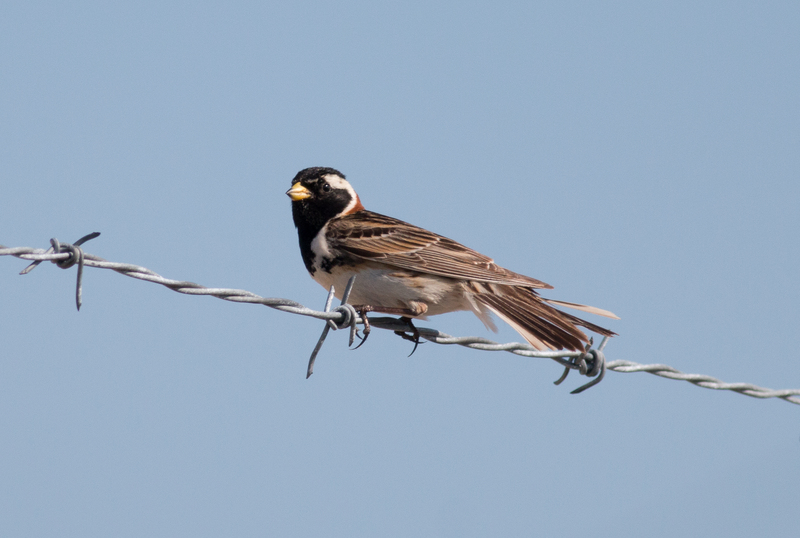 Breeding longspurs, tree sparrows, and redpolls? Why not. You even get extreme northern populations of some familiar breeders in the lower 48. Oh, and a bunch of ducks, geese, and cranes. While the science is awesome, we will start with a classic crush-it gallery of the joys of the north in summer. 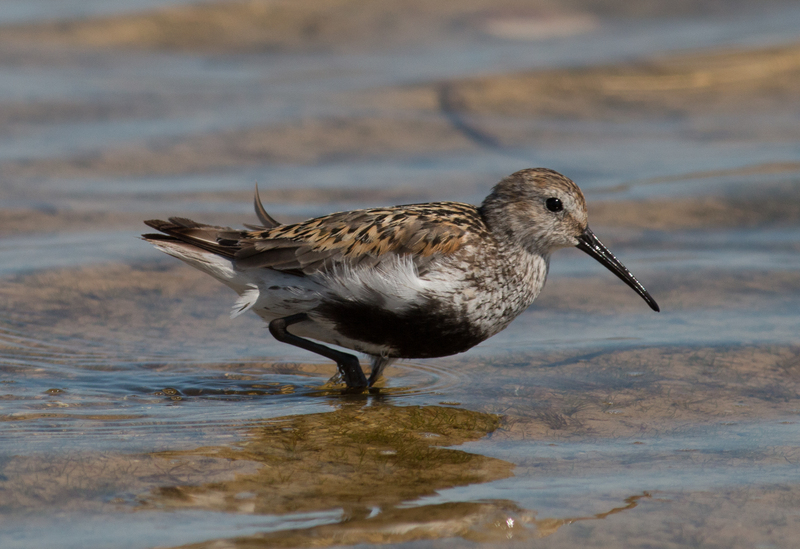 If you can’t get down with full breeding plumage versions of stuff we only get to see on migration, I don’t know if we can bird together. My favorite of the trip? 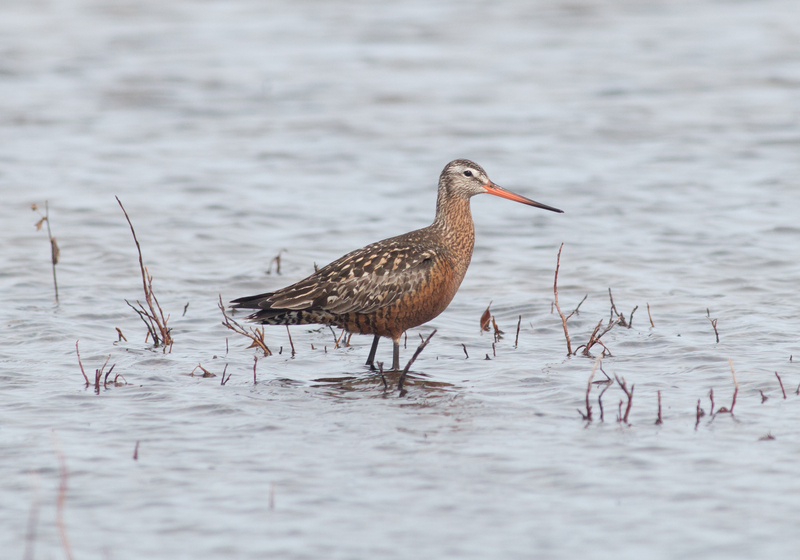 Hudsonian Godwit. 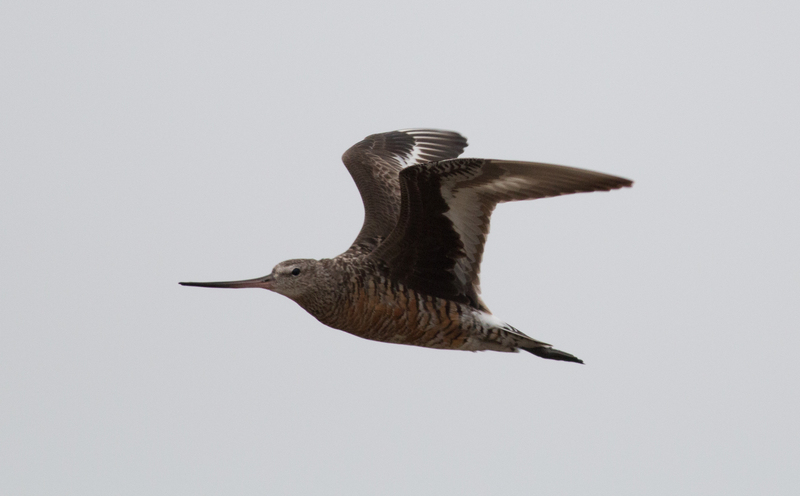 The other bonus was the amount of migrant shorebirds that were oh-so close to their breeding grounds that we had through early June, and by early July the failed breeders from all over started to pile up around the bay. All awesome. The whole reason this research camp exists is the Snow goose colony. 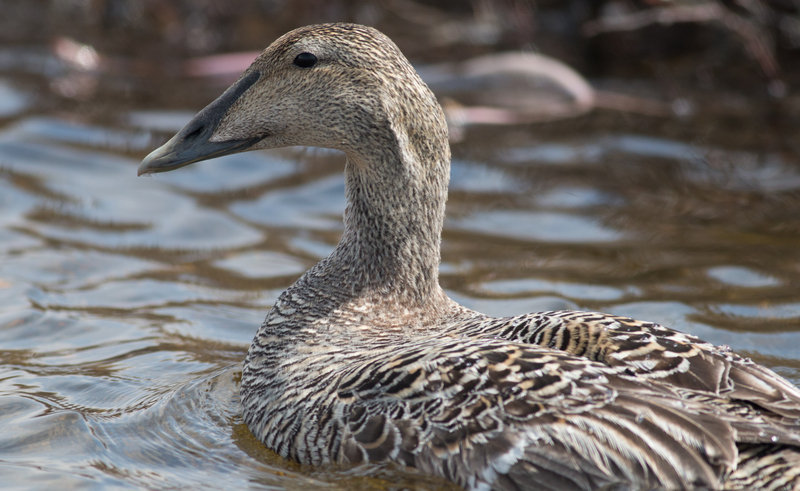 But a small breeding Eider colony is nearby as well. 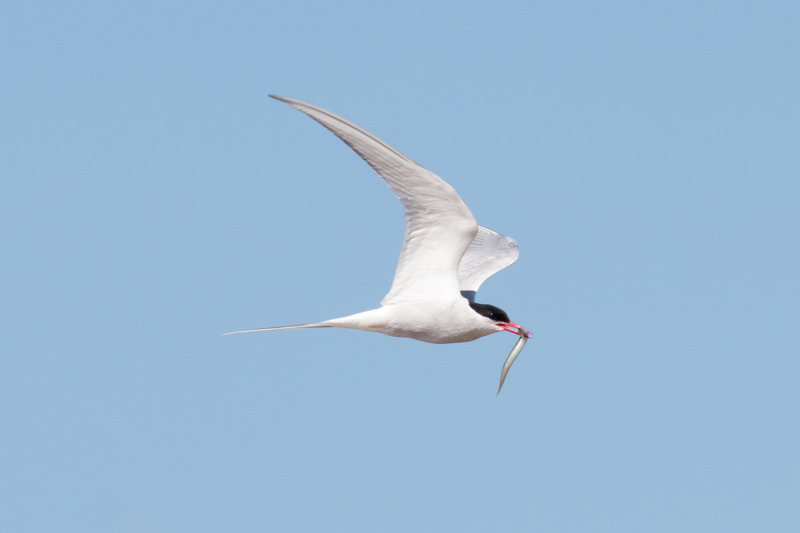 Plus, toss in everyone’s favorite animal athlete, the Arctic tern. 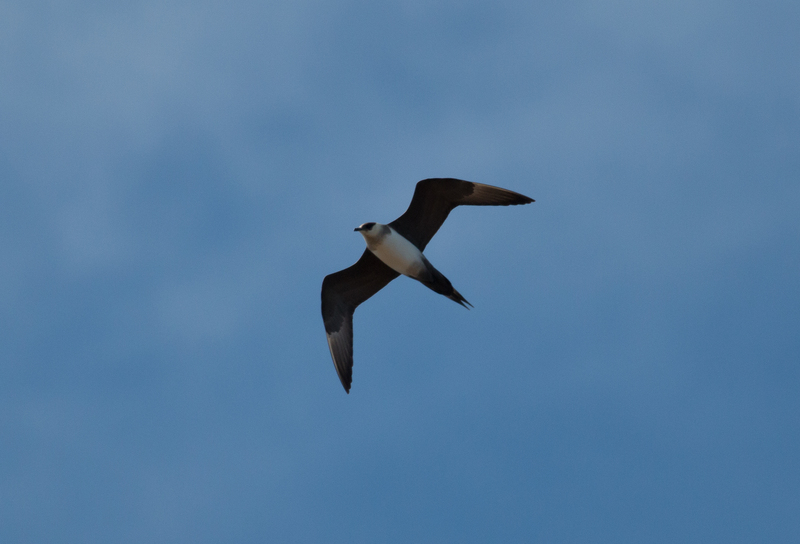 Because who wouldn’t want to migrate for 12,000+ miles to lay your egg on a rock where it’s 40 degrees out? The focus of my work, and something of the forgotten showstoppers of the north. 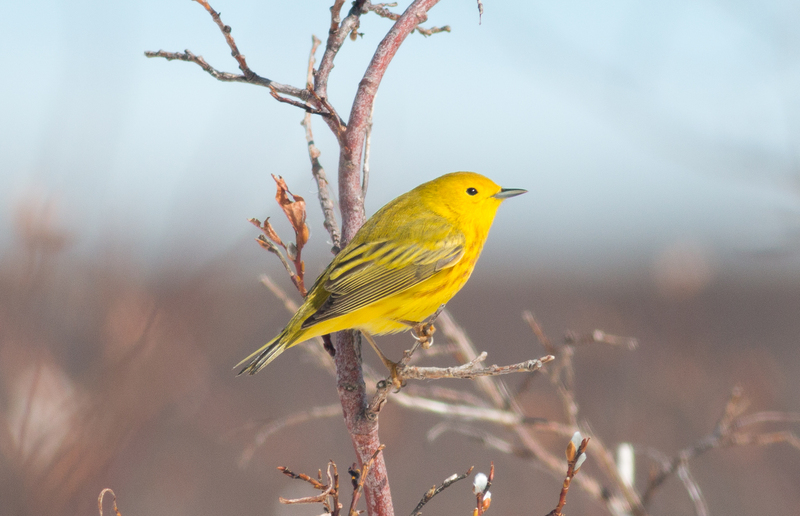 A great advantage of Churchill is the willow scrub, tundra, tidal flats, and forest all within 30km of each other. This makes for a great array of species. 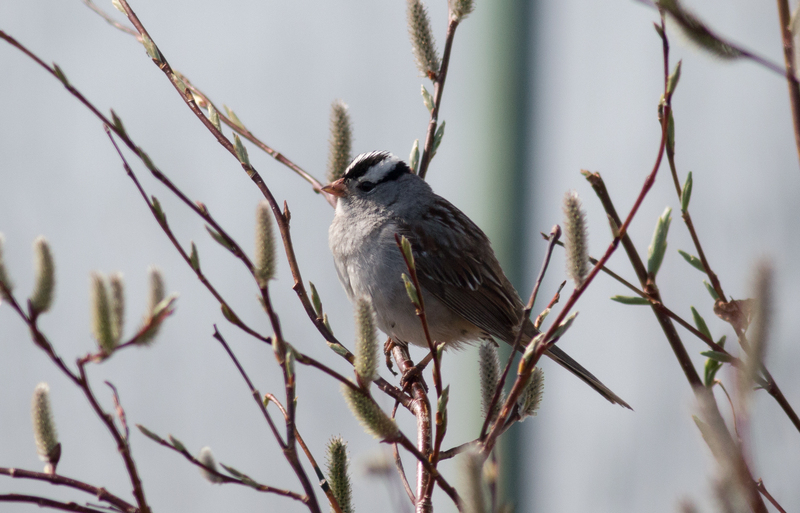 The songbirds offer another subtle birding opportunity: Yes, I get to see American Tree Sparrows every winter. And yes, during irruption years (like this one!) 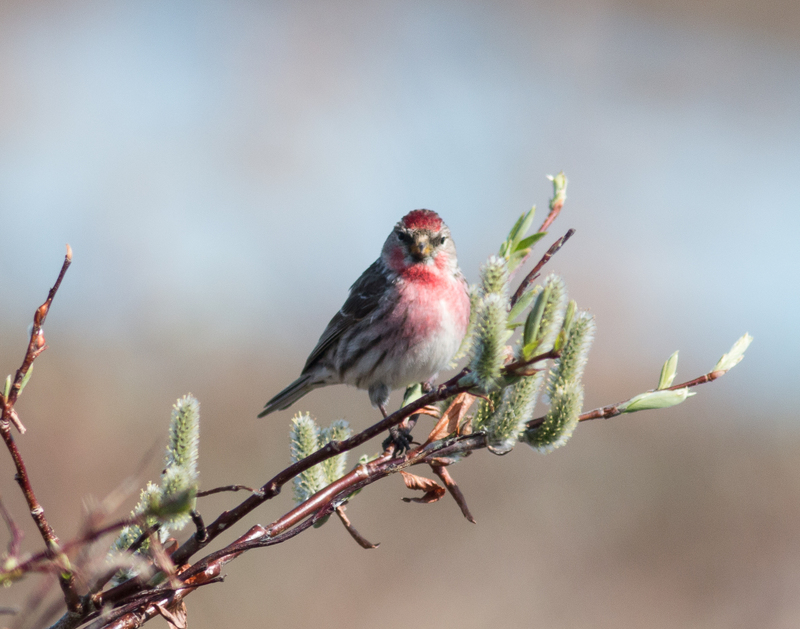 I get to see redpolls. But it’s not everyday you see a redpoll build a nest, or a tree sparrow feed it’s fledglings. 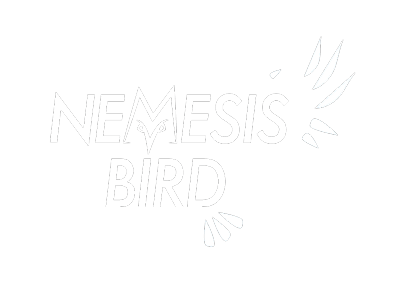 Okay, I know this is a bird blog. 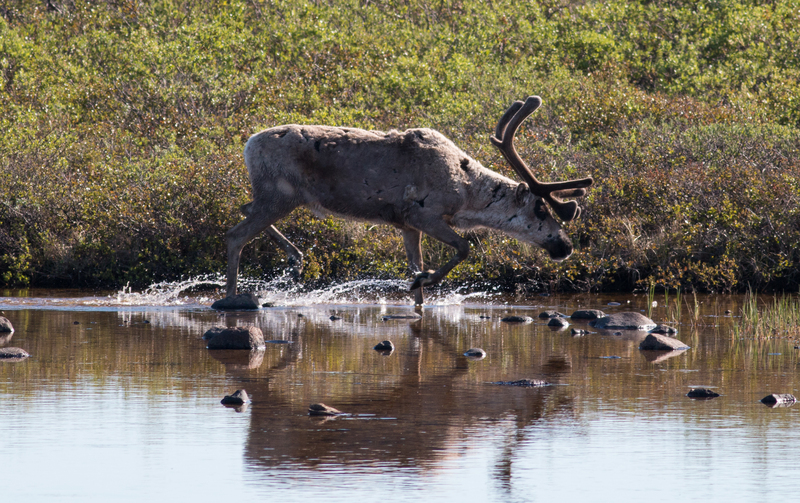 But Polar Bears are cool, and it’s the holidays, so Caribou are fun too. 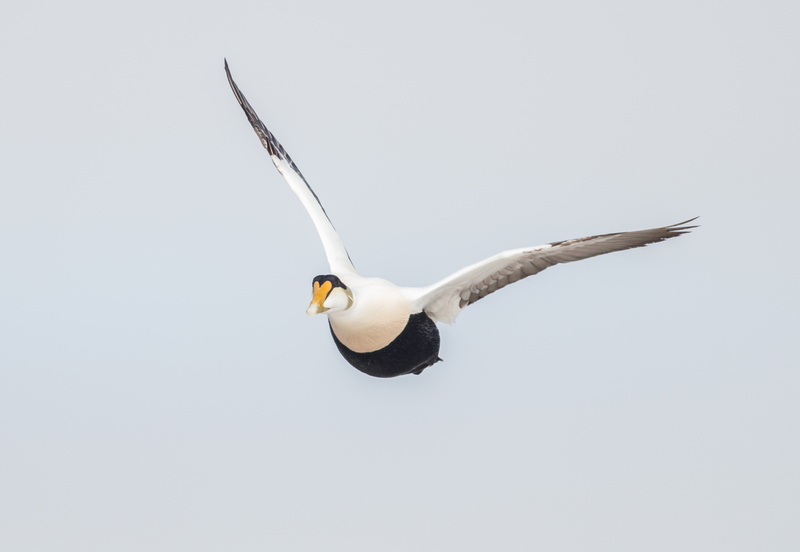 And remember that Eider colony I was talking about? 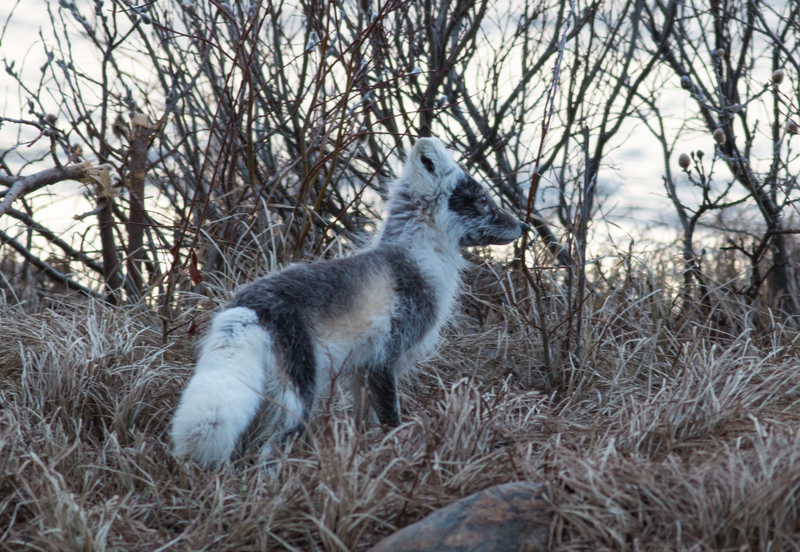 Well, the Arctic fox certainly remembers the Eider colony, because she ate all of it.